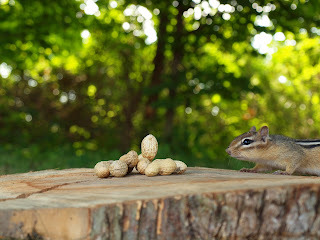 The fun began within 15 minutes of my arranging the peanuts and setting the focus on my camera when the first chipmunk arrived, and slowly, one by one, the pile of peanuts began to disappear. 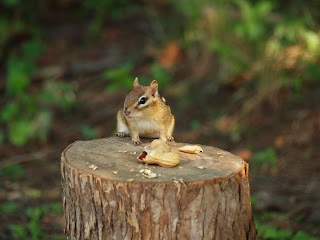 The chipmunk didn’t seem to mind my close proximity in the least and made repeated stops at the peanut pile, taking one peanut at a time back to its hiding place after fussing with each peanut, spinning each one around multiple times to get it in its mouth just so. 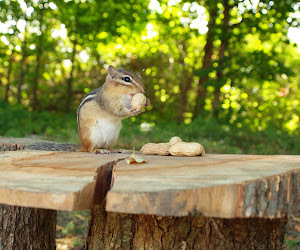 Aside from the knowledge that chipmunks LOVE peanuts, make their homes underground and are quite persistent about reopening access to their underground dwelling if it has been filled in, I didn’t know much else about them. 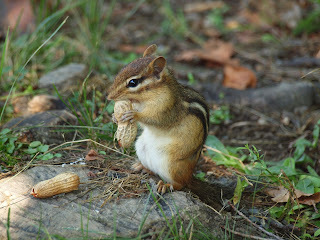 That was until recently when I was contacted by someone who wanted to use a few of the chipmunk photos I had uploaded to jks Lola at publicdomainpictures.net to illustrate a story about chipmunks that would be part of a new compilation of short stories originally written by Enos A. Mills (1870 - 1922), the "Father of Rocky Mountain National Park." While I am not currently active at publicdomainpictures.net, you can find patterns, calendars/templates, backgrounds, photos, graphics and design elements that I have created that may work for your project. Wow! 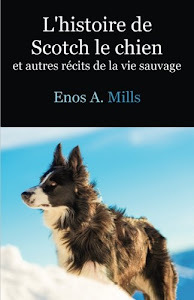 Over 162,000 downloads at the time of this blog post - Thank You! 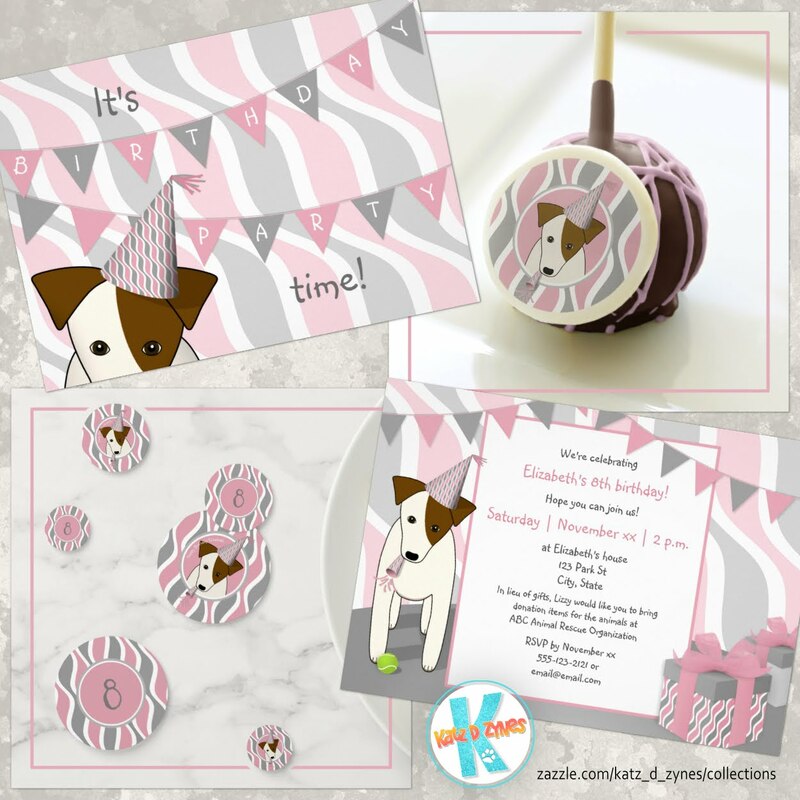 NOTE: Original design print-on-demand products by katz_d_zynes can be purchased at zazzle.com/katz_d_zynes and are NOT in the public domain.